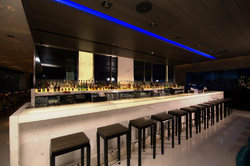 Yauatcha Mumbai catapulted into the hearts and minds of the culinary capital since it opened on 3rd December, 2011. Homestays is a unique opportunity to experience the way of life of local people of an area along with indigenous and traditional cultures. Homestays also provide an opportunity for visitors to experience a place in an authentic, comfortable and homely setting. 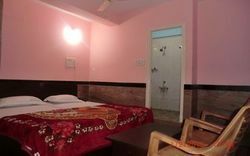 Prakash Café has twenty-five standard and deluxe rooms for our overnight guests. We provide comfortably furnished rooms and maintain a high standard of cleanliness for your stay. Please book your room in advance to ensure availability. Our plush and well-appointed Royal Club Rooms (330 sqft) are equipped with enhanced modern amenities and facilities to make your trip an extravagant yet digital affair by integrating one’s devices to the room’s electronic amenities in a smooth transition. The elegant and spacious (250 sq.ft.) rooms at Mak Hotel feature modern decor and large floor-to-ceiling windows displaying of Golf Course. Each room is well decorated, good designed and superbly equipped with Flat panel, HD LED TV with cable channels and air-conditioning. Our association is with the best hotels and the best of the negotiated rates without compromising on quality of services. The bookings take care of every budget segmet. We provide 24/7 reception and housekeeping services. Stationery Items like Writing Pad, Pen, etc are available at the reception area. We also provide Scanning & Printing facilities. Children above 12 years charged full. - By our years of Experience we have handpicked a wide range of good hotels specially to suit the schools/College requirements.